Carpets and mats help to keep the living rooms, bedrooms and even office space comfortable and cozy. Thus, the carpets and mats have to be cleaned and kept well. The carpet cleaning is a complex method to do, but it should be done properly so that they remain free from any types of germs and toxins. Also, the look of the carpet will remain clean and fresh. It is important to clean the carpet at regular intervals but in Singapore the climate is hot, humid and rainy. To clean the carpet in the monsoon period is not a good idea. As because of the raining the carpet will not get dry. So, it is better to clean it in the warm or hot season. The climate then will be hot and the carpet will get dry easily after washing. Along with this, it will be easy to make some arrangements outdoors for the carpet to get dry and to keep it out until it gets fully dry. In Singapore, the most common carpet fibers which normally occur are Nylon, Wool, Cotton, and Acrylic. Each fiber amongst the four is a unique one. They have their own characteristics. Thus, there is not a single method which can fit to clean all the four carpets. It involves the different method to clean different types of the carpet based on their fiber type. 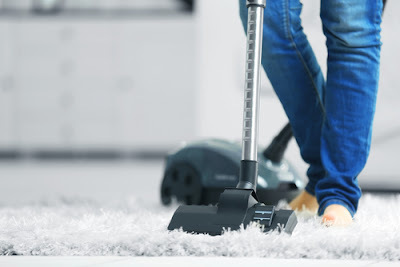 Likewise, the cleaning method the different types of cleaning equipment’s are also used for different types of carpet and for different methods of their cleaning. With the emergence of latest technology, now there are numbers of machines are available for carpet cleaning, which is used today but the above equipment’s are most common. These equipment are in use with the equipment’s of the latest technology as the new one are versatile, transportable floor cleaner and chemical free cleaning equipment. There are three methods of carpet cleaning, which includes the different equipment’s /machines as per the requirement. This common equipment is the smaller one and much easier to carry around for the carpet cleaning. The portable equipment is capable of generating hot water and steam. With this, you just need to mix the soaps. This small portable equipment is more suitable for the cleaning of smaller mat or carpet. As these equipment are both small and portable, it could be used easily. In fact, non-professionals could also use these equipment. However, for perfect cleaning, these equipment may not come handy. For the larger and bigger carpet cleaning it requires the bigger equipment. Thus, truck-mounted equipment is suitable for the cleaning and washing of the large carpets. Thus, the hot water extraction method of carpet cleaning depends on the type of need of the carpet cleaning. In this method, the hot cleaning solution is sprayed onto the carpet under the pressure. It then quickly gets extracted with the help of vacuum source which is the most common equipment. Hot water extraction method uses more water than the other method, but still most people recommend this water extraction method of carpet cleaning. This is because of the deep and systematic cleaning, which this method involves. This method includes the use of alkalis and acetic acids, which aids to remove the germs completely and without causing any damage to the carpets. After this the hot water, steam gets applied to the carpet, which aids to sterilize and sanitize the carpet from the germs and toxins. Along with this, it is eco-friendly one and safe method of carpet cleaning. In this method of carpet cleaning sometimes, the cleaning product is mixed with the carbonated water and then it gets misted onto the carpet through the spray. Lots of dry carpet cleaning methods are relying on the specialized equipment. 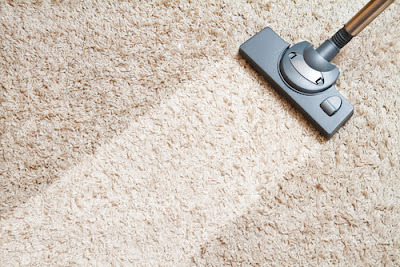 The common equipment which is used in dry carpet cleaning includes the manufactured products through brush and clean, host dry, and Whittaker system. This type of method which is used in the carpet cleaning includes the use of motorized circular brushes. This is also the other common equipment of the carpet cleaning. Through this, the foaming cleaning products are then sprayed on the surface of the carpet. It then scrubbed into the carpet or mat. This then cleaned through the rotary equipment which is followed by the wet vacuum process. The floor scrubber, high-pressure cleaner, vacuums, scrubber drier, pressure washers, steam cleaner all these common equipment of carpet cleaning are used on different types of carpet according to their suitability. However, amongst all the use of vacuum and steam equipment if more as compared to the other equipment. The floor scrubber equipment is generally used in the industries where hygiene is the most important thing. These industries include health- care, aged care, hospitality and contractor markets etc.. The latest technology cleaning machines consist the common equipment like floor scrubbers, steam cleaners, and steam vacuums. This equipment is the most in use for the carpet cleaning in the early times and also in the latest machines of carpet cleaning. With this combining of earlier equipment’s and the new machines, it became overcome through some of the drawbacks of the carpet cleaning methods. Now, with this combination they can reduce the water consumption during the cleaning process. They also provide the fastest chemical-free cleaning alternatives. All the three gives outstanding results of carpet cleaning and that too in short times along with the less physical efforts. Amongst the three the floor scrubber and the steam cleaners are more popular common equipment and if the first choice for the commercial cleaners who are conscious of the environment.